We understand that you’re not always in the mood to “go out to eat.” Maybe you’re sick, maybe you’re stuck at the office, maybe you just can’t stand the idea of wrangling all of your children at a restaurant. And yet you’ve got a craving for the best burger in California. Good thing burger delivery is in your future! When life doesn’t allow for you to have a comfortable sit-down experience at our burger restaurant, we’d like to offer you these options so that you can still taste the ultimate gourmet burger. Whether you’ve had a rough day or just can’t get away from the office, you still deserve an awesome burger! 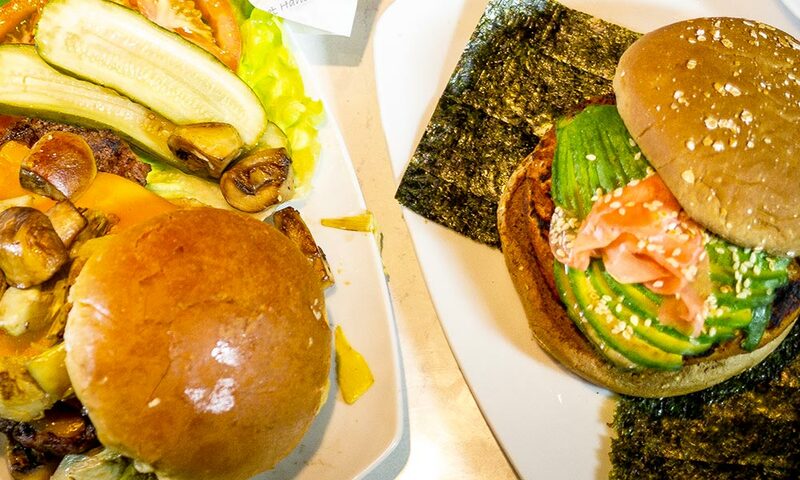 Barney’s Gourmet Hamburgers has partnered with Door Dash so that you can get burgers and salads delivered right to your door. If you’re on your way home and want to grab something to take home to the family, Door Dash has you covered once again. Simply order what you want and we’ll have it ready for you when you arrive. If you’re looking for corporate catering or simply want the best burgers at your family reunion, contact Barney’s right here and we can handle your burger catering. You’ll never go back to box lunches again! Ready to order for delivery or pickup? Just check out our locations to find your nearest Barney’s and click on the Order Delivery or Order Pickup button. Let nothing get in your way of a good burger (or an awesome salad, for that matter!) Check out Barney’s Gourmet Hamburgers today!